Atlantic Yacht & Ship launches new website to promote yachts for sale! : Atlantic Yacht & Ship, Inc.
Atlantic Yacht & Ship launches new website to promote yachts for sale! In the wake of the 2016 Fort Lauderdale Boat show, Atlantic Yacht & Ship has launched a brand-new state-of-the-art website to best promote the yachts for sale! The new website is easier to navigate. Furthermore, high resolution pictures and videos will help clients get a visual representation of yachts they view. This is just an example of the leaps that AYS is making in order to best serve their clients. Atlantic Yacht and Ship, Inc. has over 50 years of building relationships in the marine industry, creating a solid team of top professionals to provide our clients with the utmost service throughout the sales process and beyond. We turn our client’s dreams into a reality – connecting boating enthusiasts of all types, from the first time buyer to the experienced yachtsman. 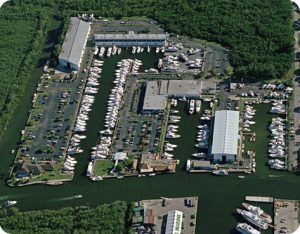 Atlantic Yacht and Ship, Inc. has aligned with specialists in the areas of surveying, documentation, financing, insurance, tax, legal, dockage and maintenance, providing a single contact source for clients. Atlantic Yacht and Ship, Inc. maximizes all available resources to meet our client’s goals and overcome any challenges that arise in the marketplace, with our unwavering goal of 100% customer satisfaction and developing loyal, repeat client/friends.